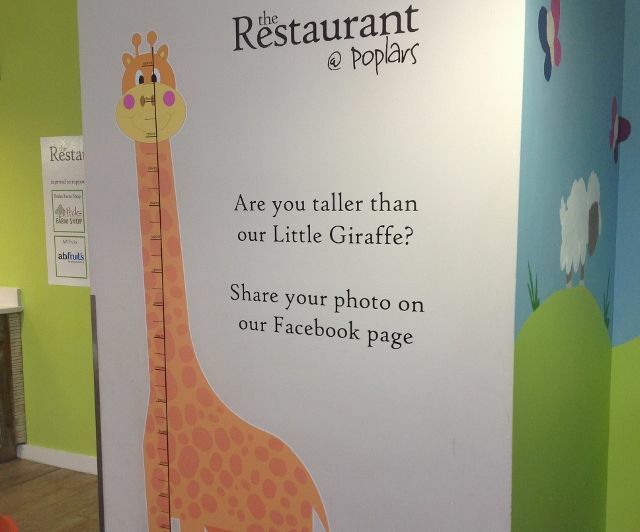 Because we know our younger clientele can be somewhat fussy when it comes to meal times, Little Poplars was designed to make eating out an enjoyable experience for all involved! 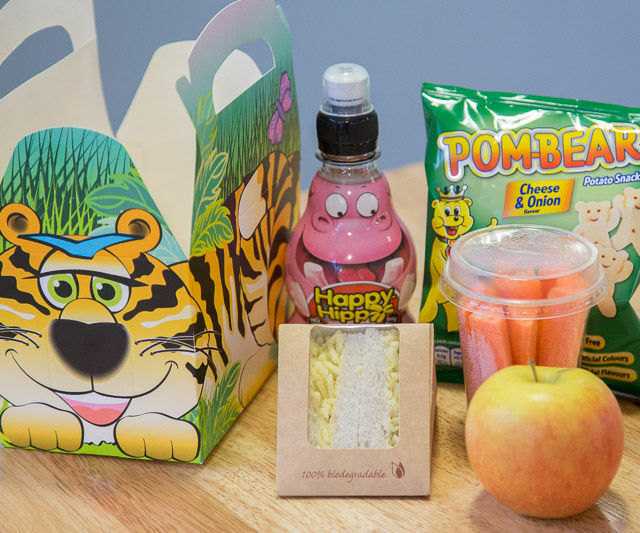 Our funky Pick & Mix picnic boxes allow younger children to choose their own items and carry them to the till, making them feel very important indeed. 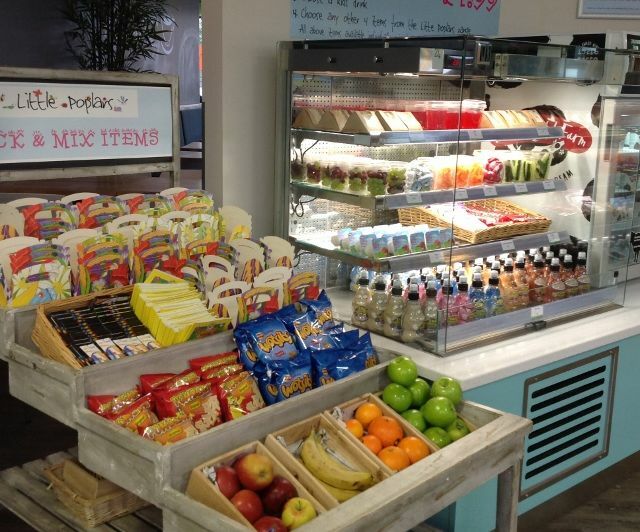 Here they can choose from sandwiches, fresh fruit, yogurts, crisps, vegetable batons and more! 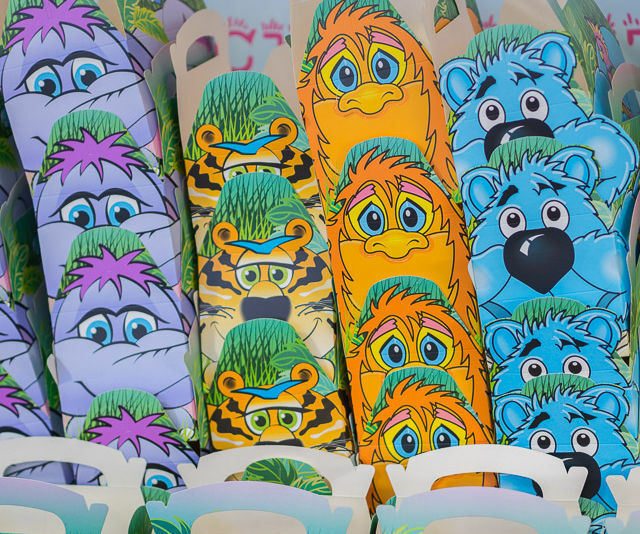 There are hot meal options available such as sausages, fish or chicken nuggets served with chips and a choice of peas or beans, half jacket potatoes or 8″ pizzas with a range of toppings to choose from. 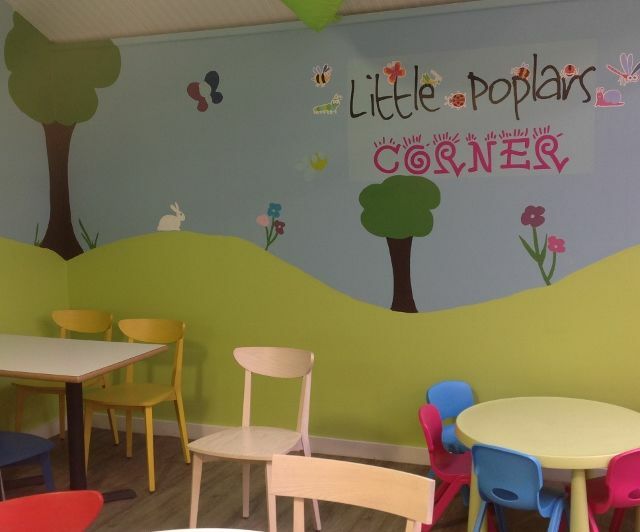 To carry on the family friendly theme, there’s Little Poplars Corner where families with smaller children can sit on brightly coloured furniture surrounded by colourful wall art whilst the youngsters play with the toys and games provided. 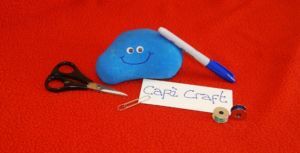 Why not pop along to the Restaurant@Poplars and join in a Café Craft session for children aged 1-12 years. 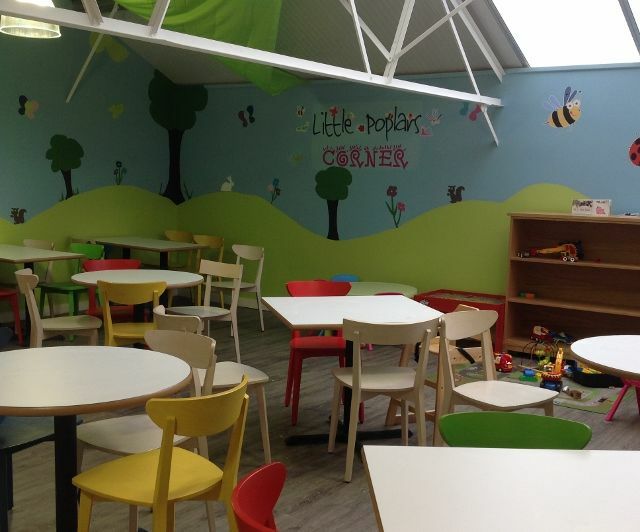 There are lots of fun activities to choose from so while the kids are busy getting crafty, you can sit back and have a crafty cuppa yourself! Sessions cost just £3.50 per child and this includes all the materials and tools needed and an end of play snack to decorate. Sessions run from 10am-11am so to book your child a place, contact Hannah at craftandplay@outlook.com or follow her on Facebook at craftandplaytoday. Look out for activities during the school holidays too!